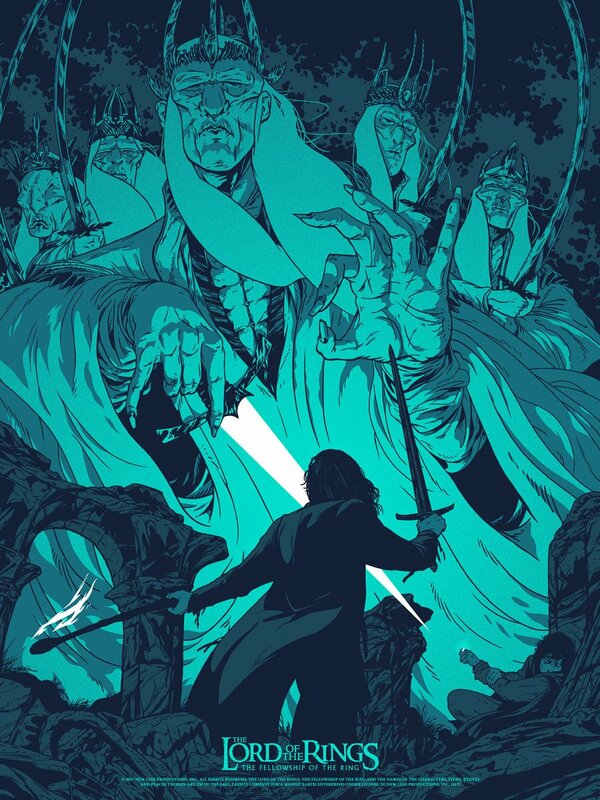 A Knife In The Dark by Johnny Dombrowski is an 18”x24” hand numbered The Lord of the Rings: The Fellowship of the Ring 5 color screen print on Fedrigoni Arcoprint 300 grs paper. Limited to just 140 pieces, collectors can purchase this poster now at the French Paper AC online store for €40. The Blot can’t wait to see what Johnny comes up with for the next two LOTR prints in this exciting new trilogy!